BEETHOVEN'S SEVENTH Symphony, referred to by Wagner as "the apotheosis of dance", and which received a new lease of life via its inclusion in the soundtrack to The King's Speech, will be performed in Galway. The work, written in 1811 and 1812, and premiered in December 1813 in Vienna, with Beethoven himself conducting, will be performed by the RTÉ National Symphony Orchestra, with conductor Ben Gernon, and violinist Carolin Widmann, on Thursday April 12 at 8pm in Leisureland, Salthill. The programme also includes Ravel's Le Tombeau de Couperin and Korngold's Violin Concerto. The event will also see Music for Galway bestowing the title of Buan Chara on Jane O’Leary. A founder member of MFG in 1981, she has served the organisation in various roles, including artistic programming and being a board member. She is a celebrated composer in her own right. Germany's Carolin Widmann’s activities span solo recitals, chamber music, new commissions, period instrument performances, and performances with the BBC Symphony, Stockholm Philharmonic, Bayerische Rundfunk, NDR Radiophilharmonie, and Residentie Orkest. 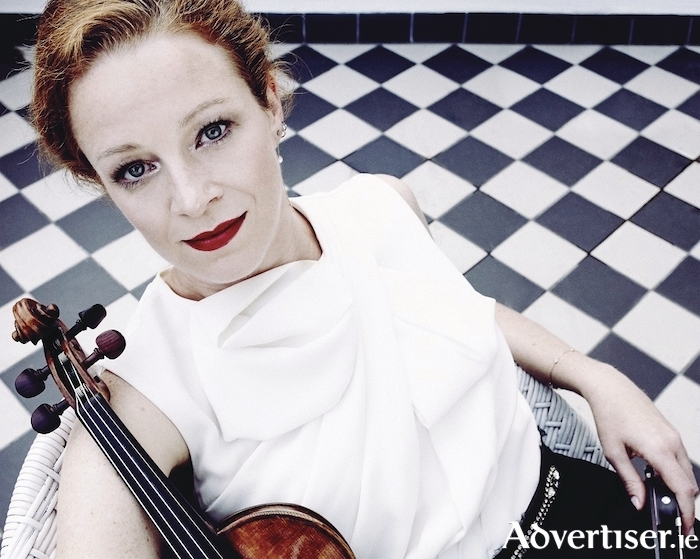 Since 2006, she has been professor of violin at Leipzig’s University of Music. Tickets are €25/22.50/21/10 via www.musicforgalway.ie, 091 - 705962, and O’Maille’s Original House of Style, Shop Street.